i want to go there..! It's really beautiful and peaceful. How did you find my page? Were you doing research for something? I get a lot of visitors here, and I don't know why it's so popular! thanks for information God bless! 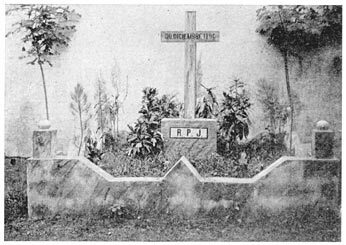 I also read somewhere that Rizal's body was buried directly. That is, no coffin or whatsoever. He was simply put in the grave and covered with dirt. Donya Teodora went around to ask that she be given her son's body but only the current mayor of the City of Manila at that time was moved. 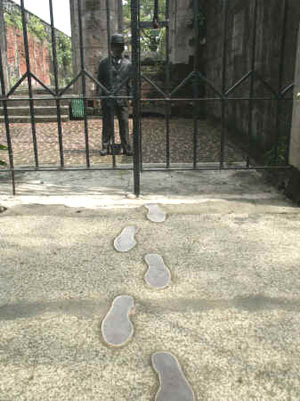 It also took a very long time before Rizal's body could be transferred to Luneta. They had to wait after the Spanish rule until it could be dug up and given a proper burial. Thanks for the information james! 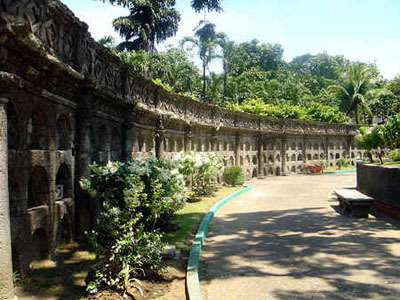 I have always wondered what Paco Cemetery looks like.. 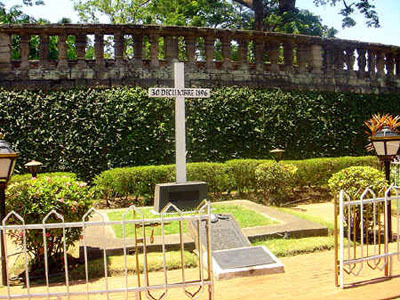 I will surely bring my family there to visit the original place of burial of our national hero..
Hi! 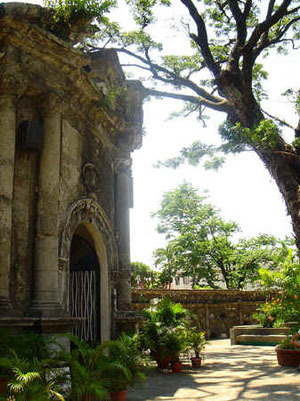 Have you been to Paco Park yet? How did you like it? My pleasure! And thank you for your kind words. I've read both of the books (in English). They're wonderful! And I plan to try reading them in the original Spanish someday. I still hope to go to Laguna and other sites from his life, perhaps after my wife and I move to Angeles, Pampanga. More adventure! BTW thanks for this information. This is big help on our thesis project..
Glad to be of help. I have lots of pages on the Internet, and this is the #1 visited. His influence lives on! Glad to help. It's by far the most popular page on my entire site!